Although prices are up 75.6% from their 13-year low of $26.21 in February, oil price predictions on Wall Street are still bearish. In fact, one investment bank sees crude oil prices tumbling below the $30 mark by the fourth quarter. That’s a more than 35% drop from yesterday’s close of $46.03. According to a Wall Street Journal survey of 13 investment banks, the average Brent crude oil price prediction is $41 a barrel by the end of 2016. The average prediction for WTI is even lower at $39 a barrel. This post was published at Wall Street Examiner on April 29, 2016. China has been on an glorious debt-and-stimulus binge for the past few months. New corporate borrowing shot up to record levels as the People’s Bank of China opened all valves, and juice rushed through the state-owned megabanks to corporate borrowers and others all around. In the first quarter, total debt ballooned by 6.2 trillion yuan (nearly $1 trillion), the largest quarterly jump ever, to a record 163 trillion yuan ($25 trillion), or 237% of GDP, up from 148% of GDP in 2007, according to some of the more benign estimates. Others peg total debt as high as 282% of GDP. Corporate debt alone is now estimated at 160% of GDP. But no one knows for sure. With the Chinese economy, everyone is groping in the dark. This post was published at Wolf Street on May 1, 2016. This post was published at GoldSeek on 1 May 2016. Let me be clear right from the outset: this is not an article about politics when it comes to whose guy or gal is currently seated or running. This is about the current state of affairs as it pertains to business; how they seem to be in motion; and, how it may affect one’s business, or, business in general. As for the ‘who’s in,’ or ‘who’s out’ – that’s for others to debate. So, with that said, I want to outline a few developing issues that have the potential (true potential, not the hyperbolic) for outright disruption of all business as we know it. And no – not the type of ‘disruption’ that emanates from the tech world. No, this one is far more disruptive, and, has implications for not only the business world, but the citizenry as well. After all: if you don’t think a business disruption can wreak havoc quickly – watch how fast calamity ensues once it’s realized a lowly roll of toilet paper will no longer be available. Back in October of last year I penned an article titled: A Perilous Possibility: Weaponizing The Fed. In it I made a few arguments about both the dangers, as well as, how differing circumstances may implement such a scenario. Whether intentional, or not. This post was published at Zero Hedge on 05/01/2016. 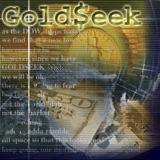 Currently skepticism toward the ongoing rally in the precious metals sector is rampant. A lot of it based on shamelessly presented analysis of the COT data. But the COT data analysts have been wrong since March on their doom and gloom outlook based on the attributes of the long/short data in the weekly COT report. Let me preface this with the proviso that the veracity of the COT data is predicated on the reliability of reports generated by the likes of JP Morgan, HSBC and Scotia. If these banks are providing bona fide, non-fraudulent Comex data reports, it would be the only area of their entire business for which they are not publishing corrupted financial information. The narrative promoted by the various false prophets of the precious metals market will have you believe that the net short position of the Comex bullion banks and the net long position of the hedge funds is at a record high and thus we can expect a massive price decline because of this. But the presentation format is highly misleading. My fund partner compiles the weekly COT data back to April 2005. Too be sure, the open interest in silver futures is at an all-time high right now. But the ‘net’ short / ‘net’ long is quite different than might be construed from the piggishly superficial drivel that has been published. This post was published at Investment Research Dynamics on April 30, 2016. In other words Schwab is telegraphing that brokerages have begun permanently unwinding hundreds of billions if not trillions in money market-funds, and rotating it almost entirely into government securities. Despite heroic profits reported by two of the FANGs -Facebook, Inc.(Nasdaq: FB) and Amazon.com, Inc.(Nasdaq: AMZN) – stocks had a very rough week. The other half of the FANGs, Apple, Inc. (Nasdaq: AAPL) and Alphabet Inc.(Nasdaq: GOOGL), took it on the chin after disappointing investors, and Apple in particular is struggling with the laws of large numbers, a phenomenon that Amazon and Facebook will eventually have to deal with. But the real story over the first four months of the year was the pullback in the U. S. dollar and the recovery in oil prices from their lows. The U. S. Dollar Index hit 93 this week, down from 98.85 at the beginning of the year. The drop in the dollar was a major contributor to higher oil prices (remember oil is traded in dollars around the world). West Texas Intermediate (WTI) crude closed the week at $45.99/barrel, up sharply from the mid-$20s earlier this year. This rally is far from enough to save the many oil and gas companies that filed for bankruptcy in the United States (60 and counting) and the many more that will, but it is better than a poke in the eye. This post was published at Wall Street Examiner on May 1, 2016. 2015: Noble Group, one of the biggest traders of commodities from coal to iron ore is melting from its base. Script writers have devised the solution of telling us a story but leaving it at a cliffhanger, thus forcing the market to postpone their execution to hear the rest of the tale. A villain was designed and a lawsuit with an injunction was filed with the Hong Kong High Court asking to ban his research, hoping to ensure the audience will return to see how the characters would resolve the dilemma. Behind the scenes, the legally aggressive stance of Noble Group Ltd is rapidly becoming known in the financial analysts’ community as analysts and media organizations are threatened one after another by the troubled SGX-listed trader. The censorship and its lawyers used to claim full control of the situation with the hope that its critics and the market would be ‘reset’ – akin to being lobotomized. The company has left us with its cliffhanger: even the most egregious comments made by Iceberg on the trader happened to be entirely correct. ‘The Hong Kong High Court has recently ordered that Noble pays a substantial amount of money to Iceberg after an unreasonable application made by Noble was once again rejected by the Court’. 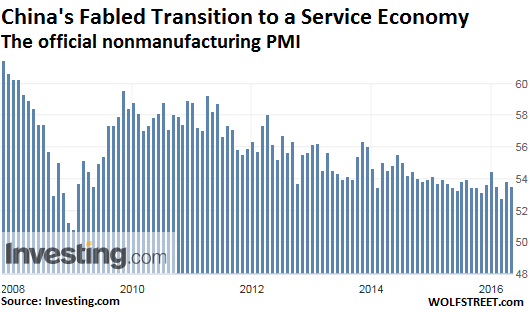 The meme that 14 million jobs have been created since the Great Recession is constantly held up as proof that the labor market has healed, or has practically healed, even if there are a few soft spots left over – such as the pandemic lousiness of the jobs that have been created. In official circles, the sound of folks patting themselves on the back is deafening. But for many working-age Americans, who have to compete with each other in the labor market, reality is tough. Turns out, the US population, currently at 323.2 million, has grown by 16.5 million people since the Great Recession. Which is exactly why the unemployment problem has become so intractable: job growth has been less than population growth! While slow economic growth might look OK-ish on paper overall, in a country with significant population growth, it’s toxic on a per-capita level – and that per-capita level isn’t theoretical. It’s what people actually experience. That scenario just played out with the Advance Estimate for first-quarter GDP, released on Thursday. Economic growth compared to the prior quarter was a miserably small 0.5% annualized, which means if the rest of the year is like this, total economic growth for the year will be 0.5%. This post was published at Wolf Street on April 29, 2016. Several weeks ago we learned that not all is well in the ongoing negotiations to impose Obama’s landmark Transatlantic Free Trade Agreement, also known as the TTIP, when unexpectedly Europe threatened to impose visas on Americans and Canadians. Now, according to leaked negotiating drafts and internal positions, which were obtained by Greenpeace and seen by the Guardian, it seems the stumbling blocks ahead of the TTIP’s implementation are indeed substantial, and potentially dealbreaking. As the Guardian reports, talks for a free trade deal between Europe and the US face a serious impasse with “irreconcilable” differences in some areas. Short-term T-bills are paying about .25%. This creates a problem for money market funds: their costs are barely being funded by the interest they get on short-term CD’s. They pay low rates to investors — no better than a bank or credit union. If we get to negative rates, where Europe is today, then money market funds will suffer losses if they do not “break the buck.” They will either impose capital losses on investors or else go bankrupt. This post was published at Gary North on April 30, 2016. It appears as though the ECB has had enough of the thorn in its side that is Germany in this latest round of back and forth, and has taken to what it does best: jawboning. In an article published today in the Frankfurter Allgemeine Sonntagszeitung newspaper, executive board member Benoit Coeure writes a rambling article defending ECB’s policies, tells Germany that the ECB is the reason for its economic success, and downplays the issues that any savers may be having under NIRP. Leading up to the article, Germany’s finance minister Wolfgang Schauble has been increasingly vocal with his displeasure at Draghi’s policies, first by saying that the loose monetary policies would end in disaster, and hinting that Berlin would consider taking the ECB to court if ever Draghi introduced the “very interesting concept” of helicopter money (bypassing the banking sector and distributing money directly to companies, consumers, and states). Then, a few days later, Schauble said that monetary policy was largely exhausted globally, and that the ECB is causing extraordinary problems in reference to negative interest rates that are hammering savers. This was apparently enough to expose the ever so thin skin of the European central planners. Benoit’s article opens by ironically asking if the ECB is stubborn because its continuing policies that aren’t working. Is the ECB stubborn because we are adhering to our monetary policy despite strong criticism? No. We are complying with a precise task that was conferred on us. The EU treaties gave the ECB a narrow price stability mandate. The first point I would like to make is that many of you are probably wondering how I could reverse my long term bearish view on the precious metals complex to a bullish view in such a short period of time. The other point I’ve been trying to make is to get you positioned and sit tight, as this new bull market is just getting started. Understanding the Chartology of this sector from the many different precious metals stock indexes, to individual PM stocks and especially the combo ratio charts, paints a picture that if one keeps an open mind and truly understands what is taking place right now, getting positioned and sitting tight makes alot of sense. This is easier said than done of course. Many are surprised by the magnitude of this bull market rally in the precious metals complex and are trying to come up with all kinds of reasons why it should or shouldn’t be taking place right now, based on whatever trading discipline they’re using. Most are looking for at least a correction to relieve the overbought conditions before the bull market can make any progress higher. That may very well happen, but I’ve been showing you three very important combo ratio charts which are telling me a different story based on the Chartology and inter market ratios for the PM complex. I coined the phrase ‘Reverse Symmetry’ years ago when I first picked up on it after looking at literally thousands of charts and studying their price behavior. Once you become aware of this particular piece of Chartology you begin to look for it and will see it all over the place from short term minute charts to long term monthly charts. It’s no big mystery why it works but it can tell you what to look for during certain market conditions. The precious metal complex is giving us a perfect example of reverse symmetry right now. I’ve been showing you at least three different combo ratio charts for the PM complex which showed the end of the bear market and the beginning of the new bull market. Keep in mind this is unique to Chartology and my interpretation of the Chartology. There are many good trading disciplines out there in which some investors can master and be successful while most will give up the minute it doesn’t work perfect. Sticking with whatever trading discipline you choose, whether it’s cycles, Elliott Wave, Gann, or even watching the COT’s numbers, give yourself the time to fully understand and grasp its principals before you give up on it. For me personally, Chartology is the road I chose to travel and after experimenting with several different trading disciplines I always came back to Chartology. So Whom Can You Depend On? Can We Have a Little Economic Participation, Please? Last week we looked at the world’s demographic destiny for the coming decades. I imagine most readers perused the information and said, ‘Yes, we already know the world’s population is getting older. Everybody keeps saying demographics are important, but I’d like to know how slowly changing demographics actually affect the economy here and now. Every politician and economist wants to see the United States – and, I should point out, Europe, Japan, and the rest of the world – return to 3%-plus growth. Given that GDP in the first quarter turned out to be just 0.6% and that growth has sputtered along at less than 1% for the last six months, even the 2% growth that we’ve been averaging for the last five years sounds good now. In my just-concluded series, a letter to the next president on the economic situation he or she will face, I laid out my own plan to reinvigorate growth. But I have to admit that plan does face a strong headwind called fundamental economic reality. This post was published at Mauldin Economics on MAY 1, 2016. Physical Gold & Silver Investors are Missing Huge Gains!